Pastors Robert Kayanja and Jessica Kayanja were yesterday celebrating 25 years of marriage. The 25th wedding anniversary was held at Miracle Center Cathedral, Rubaga. Dr. Robb. D Thompson, founder of Family Harvest Church in Tinley Park, Illinois and Apostle Tavonga Vutabwashe, a Zimbabwean religious figure led the service. A cabinet Minister of the new Government of Zimbabwe and a King from DRC Congo also attended. The event was broadcast live on Channel 44 and on DSTV channel 297. Their son and daughter were the best man and maid of honor respectively, and their last daughter was the flower girl. Notable among those who attended were several Pastors, including Ps. Manjeri who is now a shadow of her former self after bleaching her skin, Pastor Serwadda, Pastor Bugembe among others. Hon. Dr. Miria Matembe and husband Nehemiah Matembe also attended, she talked about how they have been together for 42 years. The cathedral was filled to capacity as many came to witness the power couple renew their vows. Article continues after the advert. 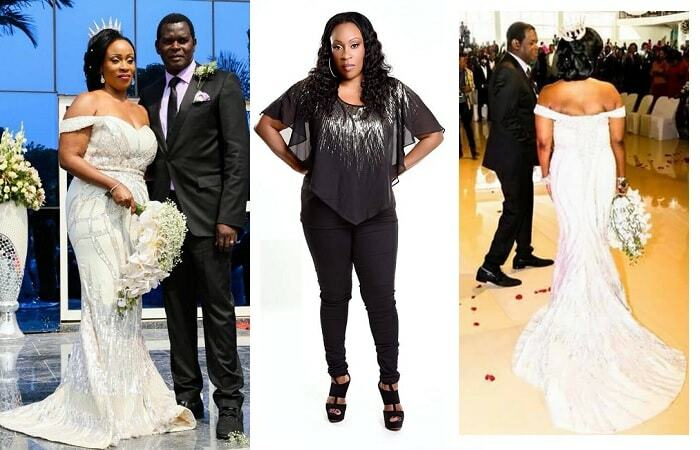 Pastor Robert Kayanja was dressed in a one button suit while the wife, Pastor Jessica Kayanja, stunned in a sweeping gown that left her back screaming for the spotlight, they were dressed by their daughter who was the matron. "Dear Jessica, you are stunningly beautiful, you look younger than when I married you. In this world, there are still good women, in this world of hurt and trouble and confusion, there are still people who have been raised so well that they know their priorities, I thank God who landed me on a diamond mine in Jessica," Pastor Robert Kayanja said. 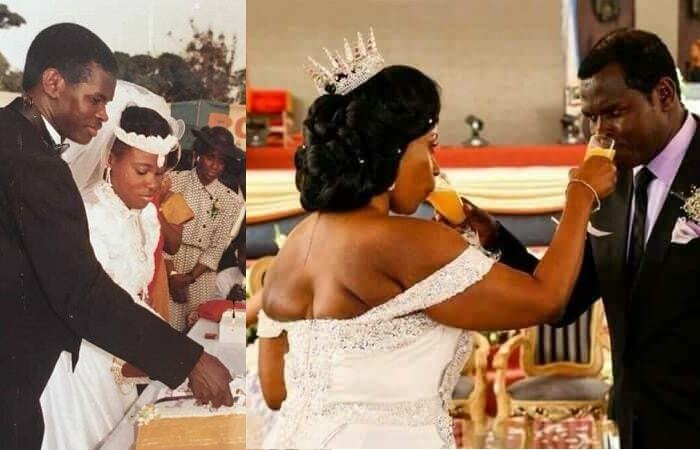 Jessica Kayanja noted of how 25 years ago, they exchanged vows in a 'Kiwempe' church, but today, they were renewing their vows in a church filled with glass. 25 years later, we will still be here dressed in gold, she added.